A hydrating and vitalizing sheet mask made with biodegradable Tencel, manufactured from a sustainably managed forest. The nature-based essence is formulated with antioxidant powerhouses chocolate and acai, essential oils, and mild preservatives. 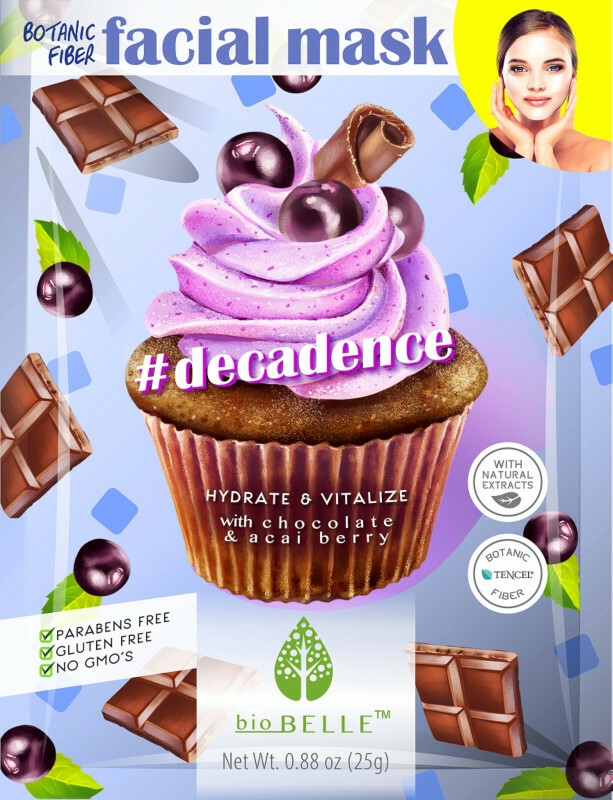 Chocolate is high in antioxidants and is hydrating and softening. Acai berry helps retain moisture of the skin and is also an antioxidant. Free of parabens, GMOs, gluten, and phthalate. To be honest, I’m not a huge fan of sweet scents and cutesy packaging. (I prefer minimal and science-y or, on the other end of the spectrum, super glam). So I put off trying this sheet mask for a while, but I was pleasantly surprised. The sheet mask itself is made of natural Tencel fiber, and it’s crazy thin, though not too unwieldy to manage. I actually placed it a little high on the forehead and eye area first, and that generally results in a perfect fit as I press the rest of the mask on and it inevitably slips down a bit. There was the faintest scent of chocolate, which I personally didn’t mind, even though I don’t like too much fragrance in my skincare, especially sweet ones. Note: There is fragrance in this mask, though it’s labeled “phthalate free fragrance,” which is interesting. The problem with synthetic fragrances is that they’re not required to reveal what makes up that fragrance, so there could be all sorts of bad-for-you chemicals, alcohol, etc. There’s a ton of essence in this mask and it came out practically dripping. After 20 minutes, the mask was still substantially wet. My face was pretty wet as well, so much so that it took a long time to pat the essence in. Once it did, my face felt super plumped and juicy. It did make my following serums feel a bit tacky, but it didn’t pill, so that’s a plus. I feel like it’d make a great primer for makeup. All in all, it really is a good mask. And at $4.99, it’s really a good deal. $4.99 at Ulta and biobellecosmetics.com. This sheet mask works to soothe and clear problematic skin, while refining and diminishing the appearance of pores, controlling oil, and purging harmful impurities. Lavender oil has anti-inflammatory and antiseptic properties that fight the bacteria that cause acne and inflammation; Arnica flower has a soothing and renewing effect of the skin after exposure to stress. This super thin sheet mask comes sandwiched between two mesh-like covers. It clings like crazy, so don’t remove one of the covers till at least a part of the mask is on your face. They definitely don’t skimp on the essence — it literally poured out of the pouch, so dab some on top of your mask because after 20 minutes, it starts to feel pretty dry. Afterwards I patted the rest of the essence in the pouch on my face, and it felt like I had just washed my face, that’s how much essence is in the pouch. But surprisingly, the essence sinks in quickly, and after seconds my face feels firmed and taeng taeng. All my other treatments go on well, and afterwards my face feels soooo hydrated, soft, and firm. It just feels juicy. I really am impressed with this mask. A hydrogel mask with charcoal, which has anti-viral and anti-inflammatory properties that not only detoxify but help control sebum production and brighten the complexion. Pomegranate has antioxidant properties to protect skin from sustained environmental damage. Aloe soothes and hydrates for silky, plump skin. This pitch black mask is a surprisingly thin hydrogel — so thin, you can rip it with your fingernails, so be gentle. (They were already some small knicks in mine when I pulled it out.) Like a typical hydrogel, it did first slide down a bit, but after a few minutes, I felt it glomming onto my face as the essence absorbed. 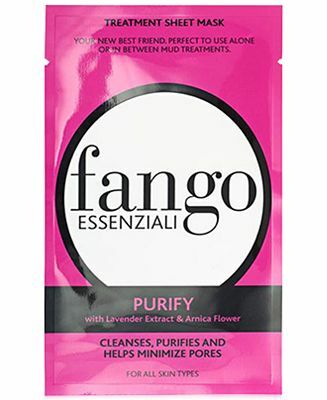 There’s not a ton of essence in this mask, which I feel is typical with hydrogels — you don’t need a lot of essence because the hydrogel keeps what essence there is from evaporating off your face. After about 30 minutes, the mask does feel like it’s starting to dry. The essence is sticky as I pat it in, but it plays well with other serums and doesn’t pill. It’s not a bad mask, but for the price, I wouldn’t rebuy. $17 at Peach & Lily. This hydrogel mask moisturizes and brightens while improving complexion and skin texture. Great for all skin types including sensitive skin, it improves dark circles, dullness, dark spots, and uneven skin tone. It has excellent adhesion that adheres to skin tightly without dripping off, maximizes absorption of active ingredients, and features an immediate cooling effect. Bonus: No parabens, sulfates, phenoxyethanol, benzophenone, triclosan, thymol, diazolidinyl urea, isopropyl alcohol, mineral oil, or cyclomethicone. Honestly, I don’t know why I keep buying Dr. Jart+ sheet masks. They’re fine, but they’re not great. And at $7-8 per mask, I’m realizing I can get better quality for a much more affordable price. 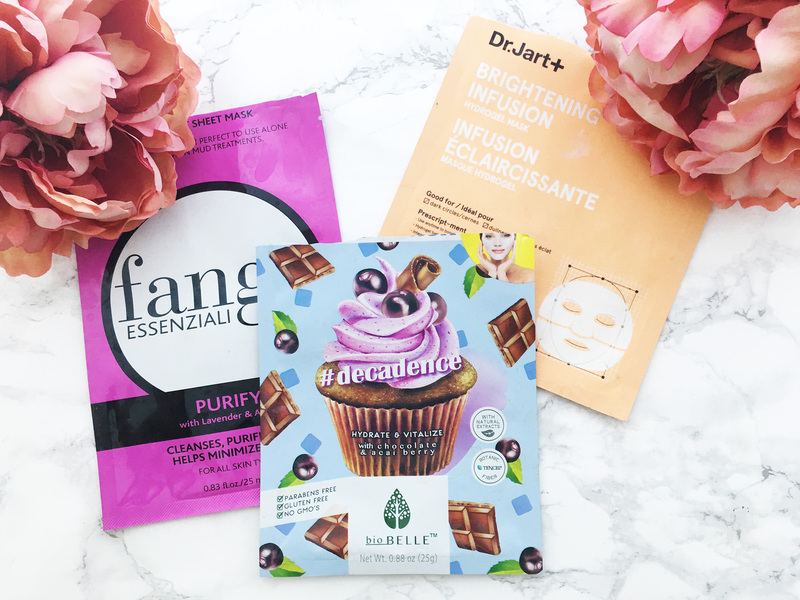 Yes, the ingredients are good, but there are a lot of masks with good ingredients that offer a much better experience and afterfeel. 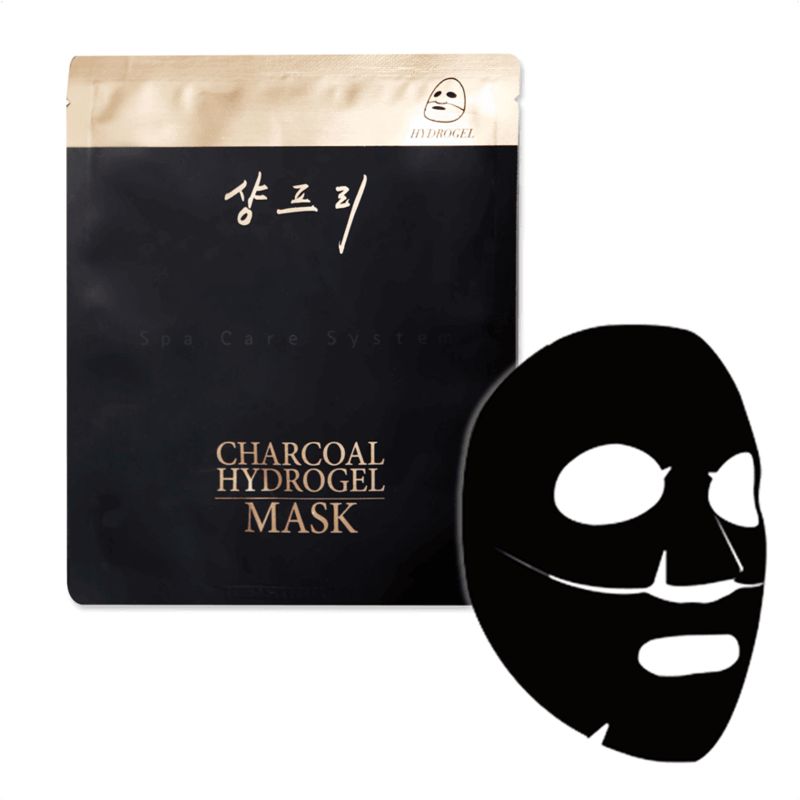 This typical hydrogel mask (the thick kind of hydrogel, not the kind Shangpree uses in its charcoal mask) at first slipped a bit but then did a decent job of holding on. (I’m increasingly not liking hydrogel, unless it’s the thin kind like Shangpree’s, especially because there are so many other better, thinner, clingier options out there.) What really surprised me about this mask is that it left this moisturizing — not hydrating, more moisturizing — layer on my skin all day. My neck especially felt somewhere between almost moist and downright sticky all day, even when I started my double cleansing routine that night. I couldn’t decide if I liked it or hated it. It just felt … strange. And for $7.50 a mask, I wouldn’t rebuy. 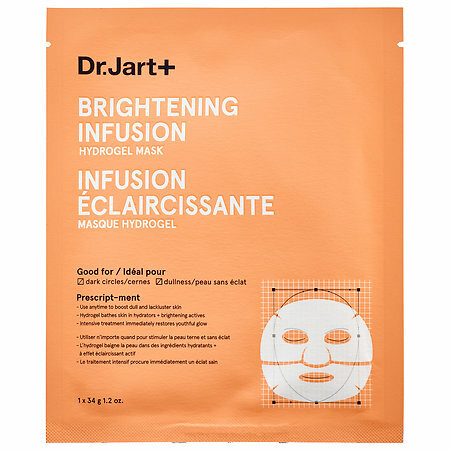 In fact, I don’t know if I’d ever buy a Dr. Jart+ mask again, especially with more affordable and just as good if not better K-beauty options out there. Water, Glycerin, 1,2-Hexanediol, Niacinamide, Caprylic/Capric Triglyceride, Galactomyces Ferment Filtrate, Ceratonia Siliqua Gum, Chondrus Crispus (Carrageenan), Butylene Glycol, Polyacrylate-13, Polyisobutene, Polysorbate 20, Phenyl Trimethicone, PEG-60 Hydrogenated Castor Oil, Cellulose Gum, Glycyrrhiza Glabra (Licorice) Root Extract, Citrus Medica Limonum (Lemon) Fruit Extract, Allantoin, Disodium EDTA, Potassium Hydroxide, Pearl Powder, Fragrance, Sodium Ascorbyl Phosphate. This mask is soooo thin, it literally “melted” in half in the part that goes above the lip. The fact that it’s literally drenched and dripping in essence doesn’t help. It wasn’t a big problem because once I got it on, it clings really well. It almost looks like nothing on the face, that’s how thin it is. Strangely, my face felt either really tight or firmed and lifted the rest of the day. It was hard to tell. Either way, I don’t think I’d rebuy. I like my sheet masks to give me a plumped, juicy feeling, not a tight one. 5 for $30 at Shray Skincare. Have you tried any of these masks, and if so, what was your experience like?